The model K2 Sodo Urban Inline Skates 2018 that I ordered rubs against my shin while skating to the point of removing hair and skin. I've loosened the bindings as far as they'll go, still yet I ended up bleeding through my socks. This was while I was on my return trip to my house after 20-30 minutes. It's strange I've been using K2 skates for 15 years and yet this is the first time struggling in my skate size / using regular white socks while rollerblading. I'll generally skate for 2 hours straight with no issues. My last skates were K2s size 11, and the k2 Sodo Urban inlines were also an 11. If you are going to order these you may want to consider some kind of Skaters sock to minimize friction and damage. As far as the blades themselves go: The chassis is actually metal not a fiber glass mesh so it's less likely to break on you, the bindings are well built and overall it's a sturdy design and with the larger 100 wheels you can really move. Keep in mind these blades weigh more than the other traditional K2 models. I love the skates, they're rugged, look cool, and fast. They also have big wheels 10mm. Q: In another Q&A you mentioned these being 165mm frame compatible. 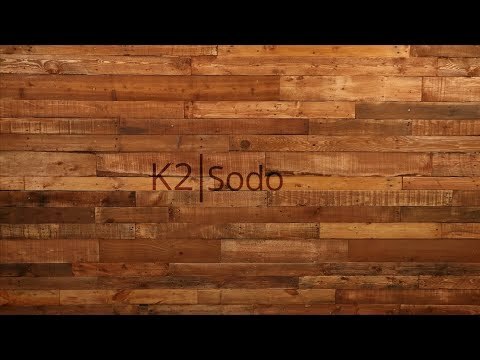 On the official K2 website specs for the Sodo it's listed as "UFS mount". Does this boot somehow accept both frame types? Or is it just 165mm or UFS? From what I've seen the r100 frame itself is UFS so how is it attached if this boot only accepts mounting for 165mm? A: The sodo will accept both 165mm and UFS frames. A: The Sodo has frame spacing of 165mm and are compatible with frames of that size. We currently have the Rollerblade 3WD marathon frame in stock and that will support 165mm mounting and would fit. Q: How high is the arch support? Im currently on Imperial 125mm and the imperial boot really drove my foot nuts until i had them heat molded at a local proshop. A: I skate with K2's and the arch support isn't super pronounced and I had mind broken in after about 6 skates in them. You can always alter the fit by taking out the stock footbed and adding in an aftermarket footbed. Q: Is there a brake in the right skate? A: No brake for the Sodo, currently K2 doesn't support a brake for this skate. Q: Can I change the wheels to a lower size? A: Sure, the maximum wheel size is 100mm so you can't go up but you can go down if you want. Keep in mind that the frame will still be elongated as it is for the larger wheels so if you go down in wheel size you will still have the long frame which will make maneuvering less ideal. You can definitely do it but the skates are definitely designed to perform best with the 100mm wheels. A: These would work for freestyle skating but the 100mm wheels are going to get in the way of some maneuvers. For better control and ability to turn and corner faster I would recommend an urban style skate with an 80mm wheel, the Rollerblade Twister 80 is a hot one in the freestyle inline skate world. Regarding size, I personally recommend taking inline skates the same size as your standard shoe size, so if you wear a size 9 or 9.5 in shoe I would never go any bigger than that. Now, the skates you are looking at are stiffer skates with a lot of support to make them better for urban/aggressive style skating. These skates are going to take a fair amount of time to break in and could take up to 6 times skating in them for them to fully break in. Q: I am a size 10.5 4E do you think these will fit? or do you recommend something else? A: Unfortunately no inline skate brands come in wide widths currently and are going to be a fairly standard width. 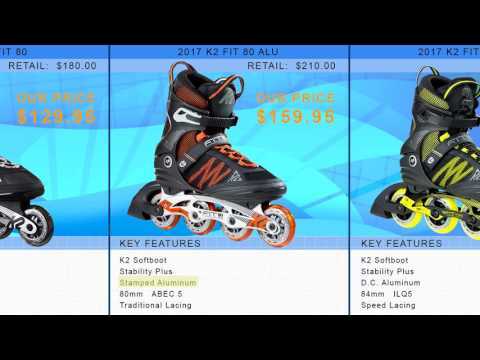 K2 or Rollerblade are going to be your best bet, and you will want to go a 1/2 size up, from there you can add an aftermarket footbed, or heel lift. The heel lift is what I've had work for wide feet skaters in the past, the heel lift will bring your foot up inside the skate which will alleviate some of the side to side pressure. Now, you will still need to let the skates break in since they are going to be stiffer than shoes and fit differently. About 4-6 times out skating will fully break in the skates. Q: Will the frames be sold separately? A: Yes, the R-100 frame is currently available for order separately. Please search r-100 in the site search bar an you will see this. The frames are currently on pre-order at the time of this transmission but will be in stock soon. Q: Hi, Can you tell me if these are available for immediate shipping/despatch? A: Currently these skates are only available for pre-order. At this time we expect them to be available for delivery January 21st.